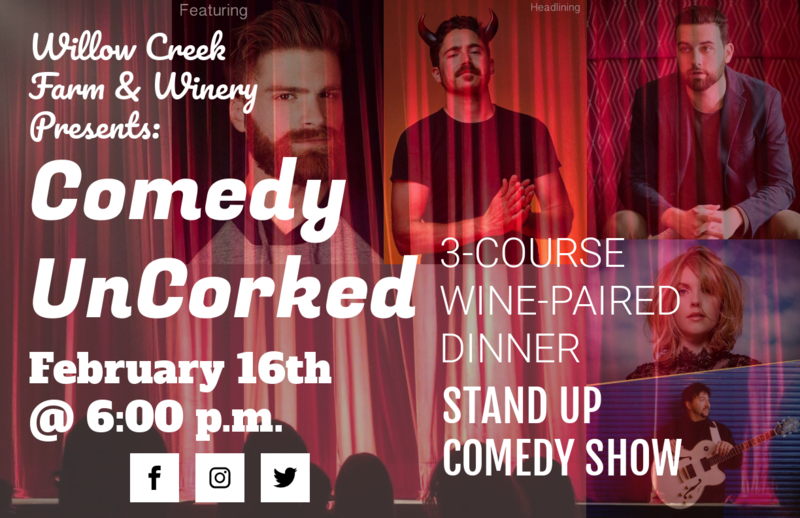 Join us on Saturday, February 16th for Comedy UnCorked!! Enjoy a three-course, wine-paired dinner and comedy show starring a three hilarious NY comedians plus a comedic host! This is an event not to miss! Social Hour with a cash bar. 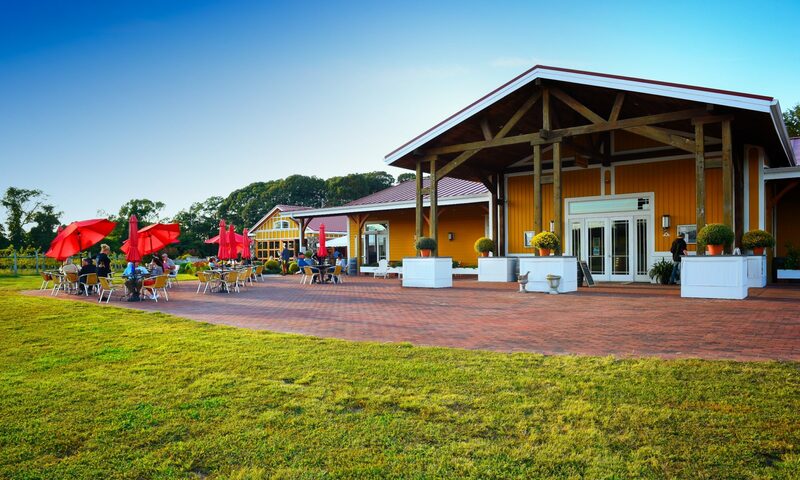 Seating starts at approximately 6:15 p.m.
A farm-fresh three-course wine-paired dinner is served! Comedy Show begins immediately following dinner, featuring three amazing NYC comics and comedic host, Sam Mushman. Rated MA for Mature Audiences – the easily offended should stay home for this event. Tickets are nonrefundable and nontransferable. Show will go on rain, snow or shine!